Washington State has natural beauty, tourist attractions, and many haunted places. Whether you live in the state or are visiting, if you love ghosts, you're sure to find spirit activity nearby wherever you are in Washington. Located on the Kitsap Peninsula just a ferry ride away from Edmonds, WA, you'll find picturesque Port Gamble, a company-built lumber mill town with buildings dating back to the 1850s. Most of the town is owned by Pope Resources, and the company has preserved its historic buildings and open spaces. Many of the buildings and public areas of the town are rumored to be haunted including the cemetery, Walker-Ames house, the theater (which sits above the old morgue), and the museum. In fact, so many people have shared claims of apparitions, odd sounds, electronic voice phenomena, and other evidence of ghosts, the town holds an annual ghost conference. 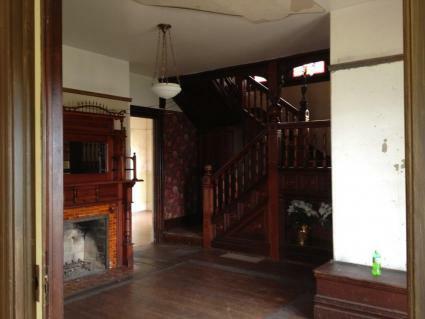 It was during the ghost conference where paranormal investigator and author Nicole Strickland had a memorable encounter in the Walker-Ames house. "With many haunted locations I visit, I can typically sense how eager the spirits are to communicate and share their stories," Strickland notes. "However, with the Walker-Ames House, it's quite different: upon entering, I was overwhelmed by the powerful, residual emotions of oppression and sadness. As I ascended the main staircase and entered one of the upstairs rooms, tears enveloped my eyes and I started to cry heavily." Port Gamble is located on the Kitsap Peninsula. You can visit public areas, such as shops and the cemetery, but other buildings may only be open during events. The Port Gamble Ghost Conference is held annually for a weekend in the fall and includes classes, ghost walks, investigations, and speakers. Head south for about 25 miles to the Bremerton waterfront and stop by the USS Turner Joy a Vietnam-era naval destroyer that is now a floating museum. Many people have had paranormal experiences aboard. When the city of Seattle was built in the 19th Century, wooden buildings sprung up in what is now Seattle's Pioneer Square neighborhood. Then, in 1889, fire ravaged the city, destroying 31 blocks. City planners regraded the area, raising buildings one or two stories higher and building them of stone or brick. The new grading and buildings were built over the remains of the old city, leaving a network of tunnels and rooms under the neighborhood. This hidden section of the city, known as the Seattle Underground, remains as a network of dark and spooky rooms and walkways. Almost from the beginning, rumors of strange happenings both in and under Pioneer Square arose. 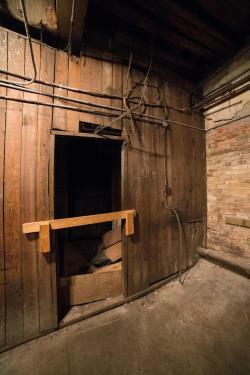 This prompted paranormal investigator and author Ross Allison to purchase a section of the famed Seattle Underground as the cornerstone of his haunted tour company, Spooked in Seattle. From its headquarters in Pioneer Square, Spooked in Seattle operates a number of ghost tours throughout its own section of the haunted underground and to other notorious Pioneer Square and Seattle area haunts. In the underground, people report hearing voices, seeing apparitions, hearing other sounds, and experiencing numerous unexplained phenomena. According to Mark Simpson, who works at Spooked in Seattle, "Everyone who has worked here has experienced something. I have seen what appeared to be an apparition on a couple of occasions, have heard voices and footsteps when no one is there, and witnessed things that have been moved when no one has been in the room, as well as doors closing by themselves." Spooked in Seattle's ghost tours start at 102 Cherry Street in Seattle. The office is open daily from 4 PM until the time of the last tour. The historic Seattle Underground tour leaves from 614 1st Avenue in Seattle. Tours run daily on the hour from 9 AM to 7 PM April to September and 10 AM to 6 PM December through March. Dress warmly in the winter. It's cold underground. Kells Irish Pub is in the spot of a former mortuary and has plenty of rumored hauntings. Head down to the waterfront to Pike Place Market. Not only is it an iconic Seattle locale, but it's also rumored to be haunted. In the northwestern corner of the state along Interstate 5 sits the town of Bellingham, which overlooks Bellingham Bay and the San Juan Islands. In downtown Bellingham, you'll find a grand old theater, the Mount Baker Theater, which is a national historic landmark and performance venue that was opened in 1927. The theater is one of Bellingham's most well-known haunted locations. In fact, rumors about the ghost, Judy, who roams the place have been around since the theater first opened. Judy has been captured in photographs, and many have encountered her. I (the author) grew up in Bellingham and visited the Mount Baker theater frequently. Back in the 70s and 80s, it operated as a movie theater, and I saw many films there throughout my childhood. One of my earliest ghost experiences was encountering a woman in the bathroom dressed in period clothes. I walked out of a stall, saw her in the mirror, and then she was gone. The theater is located at 4408, 104 N Commercial Street in Bellingham. The theater hosts many events, so ticketed patrons can come and try to experience Judy for themselves. The Old Town Cafe on Holly Street is a great place for a quick meal and possibly a ghost sighting. The historic and charming Fairhaven District has its fair share of ghost sightings in its many eclectic businesses. The Spark Museum of Electrical Invention in downtown Bellingham not only allows visitors to explore electricity's history, but it also may have spirits. Located in the tiny town of Tokeland on Washington's Olympic Peninsula, the Tokeland Hotel is Washington's oldest resort hotel. 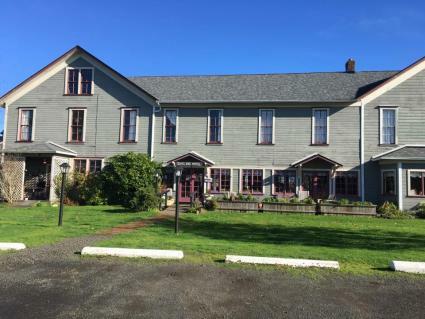 It was built and opened as an inn in the 1880s, and the building is on the National Register of Historic Places. The building boasts period guest rooms and a small restaurant. The hotel's owners have embraced its haunted history, pointing out the rooms where guests are most likely to have a paranormal experience. Many of the stories of ghosts center around Charlie, a Chinese immigrant who reportedly died in a secret hiding space behind the fireplace. Paranormal investigators frequent the hotel, and many have reported capturing electronic voice phenomena and photo anomalies. Reports also exist of disembodied voices, footsteps, and playful and friendly poltergeist style activity. The Tokeland Hotel is located at 2964 Kindred Avenue in Tokeland. It's open to guests year-round, or you can make a reservation and dine in the restaurant. Many of the rooms, including two the most actively haunted, are pet-friendly. Head north to Billy's Bar & Grill in Aberdeen, WA (Aberdeen is the hometown of Nirvana lead singer Kurt Cobain), which is a well-known haunt. It's about 45 minutes from the Tokeland Hotel. 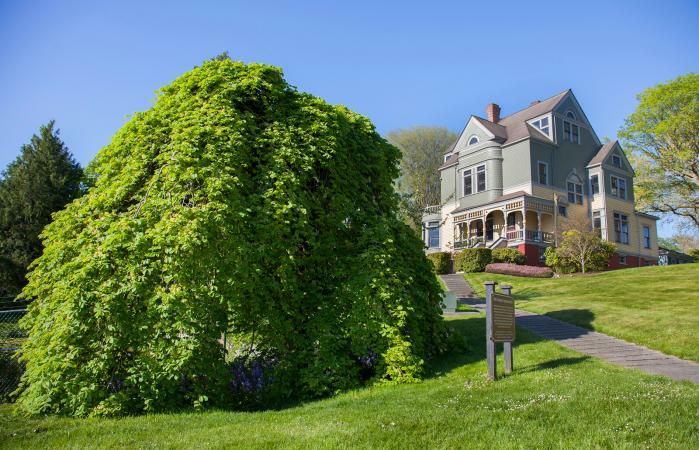 Located on the Olympic Peninsula in Jefferson County is the historic town of Port Townsend. 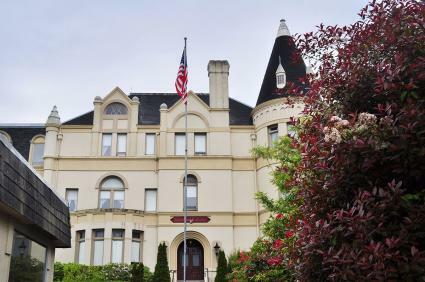 Along with the town's historic Victorian houses that dot the hillside and a charming downtown area is a century-old castle overlooking the water. Manresa Castle was built in 1892 as a private home, and it later functioned as a vacation home for nuns and then a Jesuit college. Today, it serves as a quaint and elegant historic hotel. The castle's hauntings have been known for decades in Washington State, leading Ghost Adventures to film an episode there. Hauntings include sightings of a Jesuit priest who reportedly hanged himself in the attic (there are no historic accounts to back up this legend), electrical disturbances, doors opening and closing on their own, and lots of paranormal activity in the guest rooms and hallways of the third floor. Manresa Castle is located at 651 Cleveland Street in Port Townsend. Guests can reserve rooms or suites in the castle and stroll the grounds. Stop by Fort Worden Park in Port Townsend or take a short ferry ride across the Sound to Fort Casey on Whidbey Island. Both are war-era military installations with abandoned bunkers and armaments. Both have reported hauntings, as well. Visit during the day or camp overnight in the campgrounds. Washington is so full of haunts, it's nearly impossible to list them all. From the haunted Fort Vancouver in Southwestern Washington to numerous haunts in Eastern Washington's Spokane, visitors and residents to the state are sure to find ghosts if they know where to look.